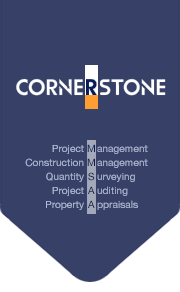 Project Auditing - Cornerstone Management Co.,Ltd. Understanding the risks associated with development projects requires a considerable investment in time and resources and is a pre-requisite to a decision to purchase or fund. Our project auditing service is tailored to individual client requirements and encompasses any construction-related activity. The service may involve either or both initial appraisals and ongoing project monitoring. Understanding the development risks is an essential part of the decision to make available a loan facility. Our initial appraisal reviews the project and considers the processes already enacted on the project. As part of our service we also make recommendations on the draw-down of funds against the value of work completed. We also monitor and report on other costs such as professional fees, legal fees, marketing, letting and development costs. Copyright ©2015 Cornerstone Management Co., Ltd. All rights reserved.